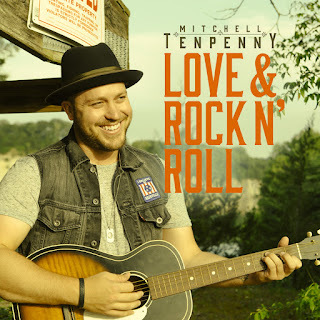 Country music fans may remember Mitchell Tenpenny from his video for "Cane's Creek" which came out earlier this year. He's an artist with a compelling story. Though he grew up with a grandmother that worked in the music industry (an executive at Sony/ATV), Mitchell's first passion was sports. Discovering a love for music while playing football at MTSU, Mitchell has been pursuing a career in country music ever since. "Love and Rock N' Roll" was actually written while Mitchell was still in college, and is about enjoying being in the moment and how important the person sitting next to you is.